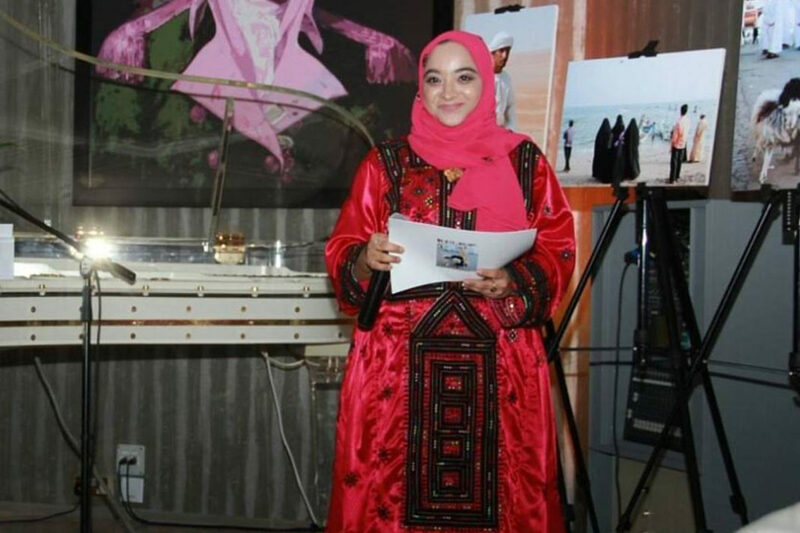 Lubna Albaloshi is recognized as a multilingual Omani poetess. 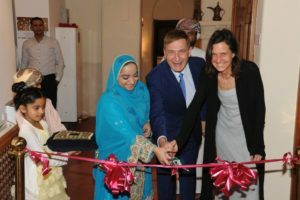 After her initial studies, she started learning German language solely for professional purpose from Goeth Institute in Oman. Later she earned a scholarship and attended Goeth Institute in Freibarg, Southwest Germany. What started as class assignment soon turned out to be her passion and led her towards a new destination. Her book “Schonheit Des Herzens”, consisting of 54 poems in German language published in 2012. Here she commenced her literary career and started writing in English, Arabic, and Balochi, which happens to be her Mother tongue. 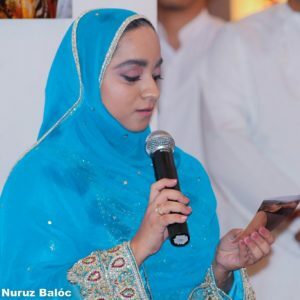 She soon proved her skills in English, Arabic and Balochi, making her one of the finest poetesses of her time in Oman. AK Baloch of The Baloch News presents her exclusive interview to the readers about her life and literary contributions. AK: May you inform us where you reside in Balochistan and how you ended up in Oman? Lubna: In fact, I have not been residing in Balochistan! I was born and brought up in Oman. AK: Give a brief overview on your educational career? Lubna: My educational background has always been Business as I have secured my degree in MBA and I never got formal education in literature. AK: What circumstances led your interest towards literature? 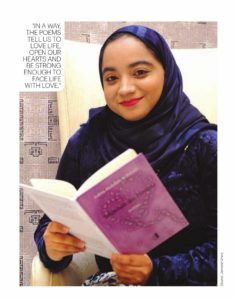 Lubna: Actually, I am passionate about reading books and I have always enjoyed studying literature, specially poetry. AK: You reside in an Arabic surrounding and your roots are of Baloch society-How did you happen to start your literary contributions in German language? Accordingly, my commitment to get the book published in Germany was accomplished in 2012. My book “Schönheit des Herzens” (Beauty of the Heart) is an exquisite collection of 54 poems in German Language. AK: What importance literature has in one’s life? Lubna: Essentially, it reflects one’s personality, lifestyle and culture. Literature enriches one’s soul; it’s something in one’s mind and something in one’s heart. It illustrates the conflict between thoughts and experiences, emotion and intellect. Definitely, it remains a shelter for some and a getaway for others. AK: What stopped you initiating your literary career in Balochi? 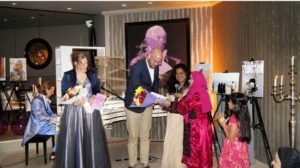 After launching my German book in 2012, many of my well-wishers wanted and were keen to read my poetry in Arabic, English and Balochi. Therefore, I started composing poetry in Arabic & English. At the time, I didn’t find myself ready to give it a try in Balochi; however, I had the strong wish to express my feelings in Balochi and I was committed to go for it. Hence, in 2015, I for the first time articulated my emotions in Balochi. Here’s my writing journey in order-German, Arabic, English and Balochi. AK: Which aspects of society are focused in your poetry? 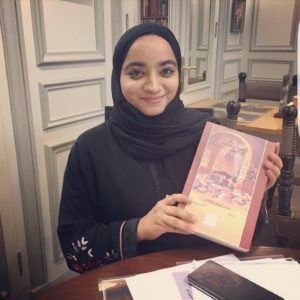 Lubna: Mainly my poems express sentiments that are common and universal. They cover several themes of love, happiness, sadness and dreams. Via my poetry, I’ve learnt to deal with the situations and scenarios in respective society which we may call ” Poetry Treatment” that provides you mental satisfaction and inner gratification. AK: Have you ever studied any Baloch literary person? If yes, who & why? Lubna: Syed Hashmi-I believe he paved the way for me to look for a literary career in Balochi literature. As a matter of fact, Sayad Hashumi is one of few names that must be studied if one decides to understand Balochi literature. His contributions for Balochi script, lexigraphy and poetry are worth reading. AK: Do your literary works reflect Balochistan and Baloch society? Lubna: Yes, there are specific poems that were meant to demonstrate some aspects of the Baloch society. For instance, my lyrics Bolbola, sounds like Balochi lullaby for a baby girl. Bolbola, feminine name or it can be a baby nickname, derived/originated from Bulbul, Bolbol, “nightingale”, the world famous singing bird; it reflects the beauty of a baby girl, grants a smooth insight into her world & life journey. “Bolbola O Bolbola’’ the same as “Laila O Laila”. Another poem, ”Ae wattan Ae Dill”, draws immediate glance to the situation of Wattan and links the same to love story. So, whatever happens, there’s no place that deserves more attention & caring than Wattan. Isn’t it finally Wattan that brings us all together? 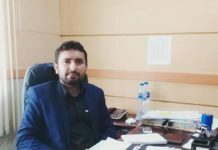 AK: Have your Balochi writings been influenced by Arabic language? Lubna: Overall, my writing is influenced by each other whether that is Arabic, English or German. AK: What are the factors that stop the Baloch females from choosing literature as their career? Lubna: In my opinion, there are still hidden names, female writers whom we didn’t hear of. I think the main issue is intrinsic in form of fear, self-confident, not being ready to face the world and speak loud enough. It’s rather a matter to be brave and self-confident. I encourage them to make themselves visible. AK: Have you ever come across any problems being a Baloch poetess? Lubna: Not really! Fortunately, I was welcomed and appreciated by many people and received many Balochi books in return. I felt love, warmth and was encouraged to pursue my dreams and wishes. AK: Who do you admire as a poet or poetess? Lubna: There exist several names that I admire. As I told you earlier, Syed Hashumi is the biggest name in Balochi literature who burnt midnight oil to offer his best to the Balochi language and literature. 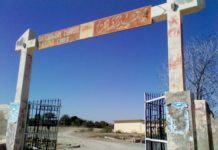 As of the current scenario, I may mention Mehlab Naseer Baloch, Mohsen Imam, and Major Majeed that I’m in contact with. AK: Any message or suggestion for those Baloch females who wish to have a career in literature? Lubna: Simply, believe in yourself and your abilities. If you find yourself in the world of literature, please go ahead, discover your own world and let the world discover you. Remember nothing stops you except you!